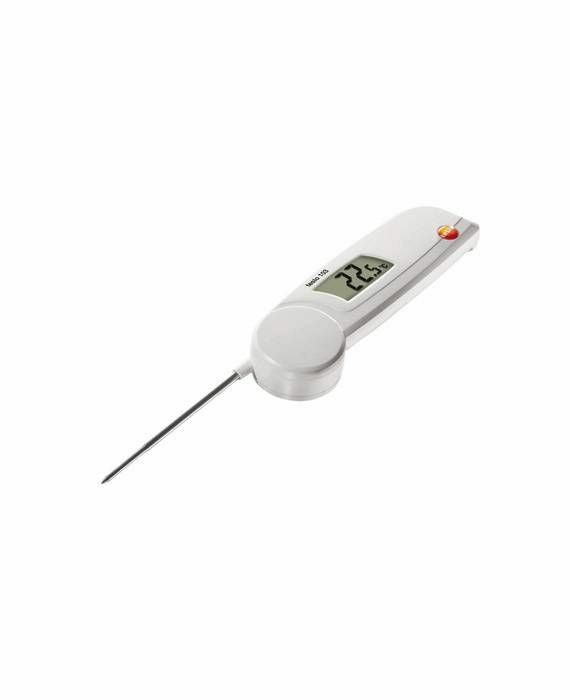 Incoming food, food on display, food in storage: the testo 104-IR food safety thermometer allows you to carry out quick and reliable temperature and food safety checks in the course of your busy working day. Ideal for use in the food sector, restaurants and the retail industry. 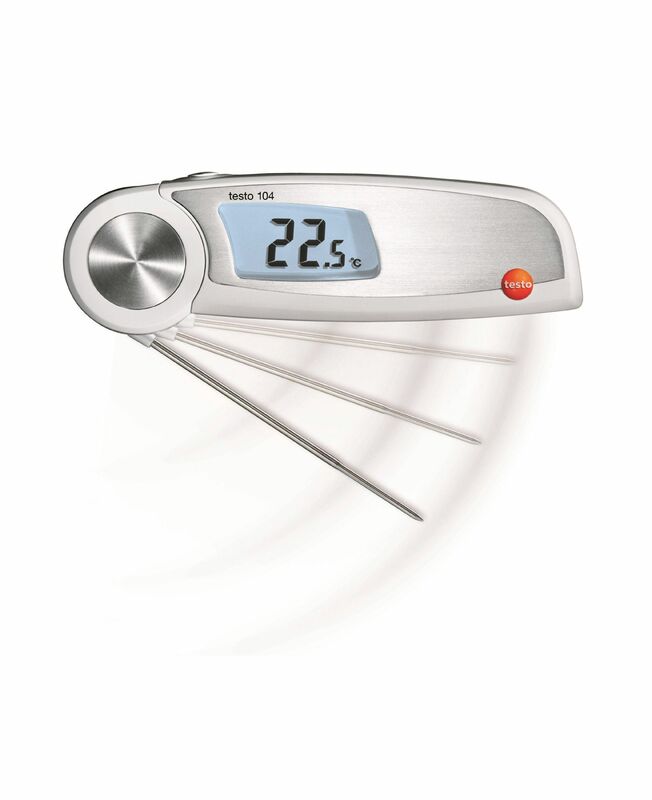 The testo 106 food probe thermometer set consists of testo 106 food thermometer along with useful accessories including a waterproof case and clip! Testo proudly presents the first folding waterproof food thermometer for the food sector – the testo 104! The testo 103 is the smallest folding food thermometer in its class – making it perfect for carrying out spot checks in the food industry! 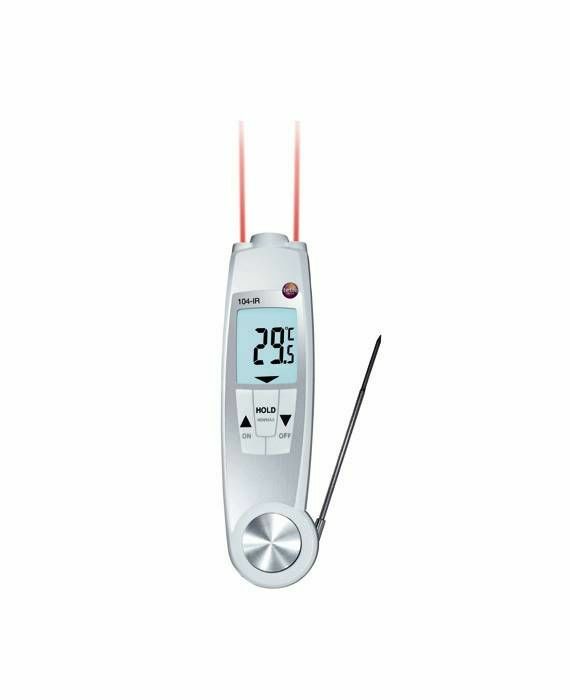 Practical for fast, safe temperature measurements in food controls: with the compact, handy testo 106 food- thermometer you will be well equipped to measure the core temperature of products in industrial kitchens, restaurant chains, supermarkets, or while food is in transit. 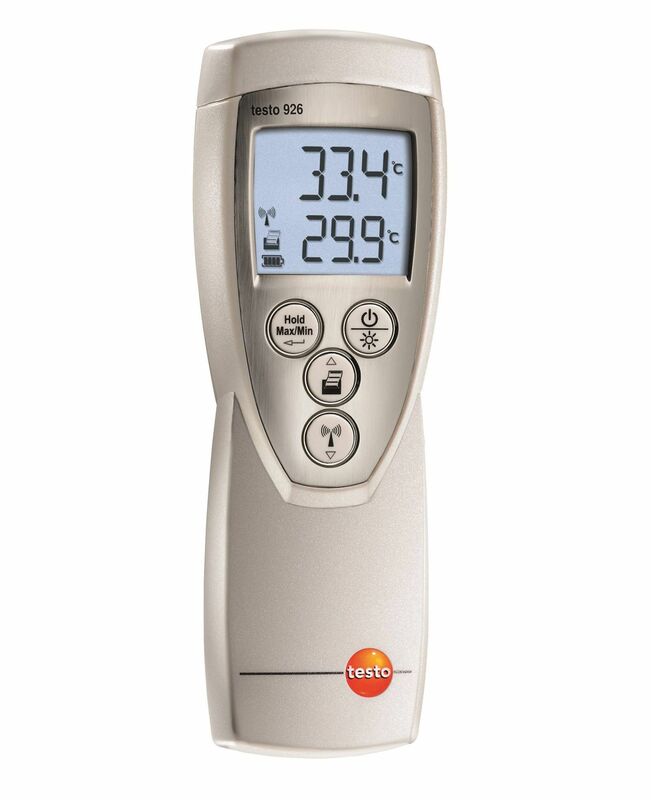 The testo 926 TE type T temperature measuring instrument provides you with a quick, reliable and discreet means ofchecking the core temperature of food in commercial kitchens, catering and other commercial and industrial environments.